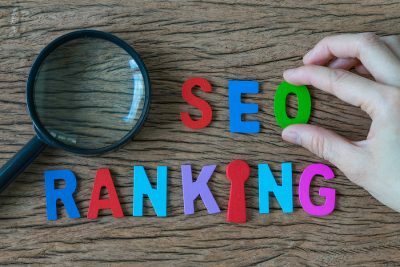 In a world obsessed with rankings, sometimes it’s hard for us SEOs to remember that those rankings are worthless if they’re not accompanied by a high click-through rate (CTR). 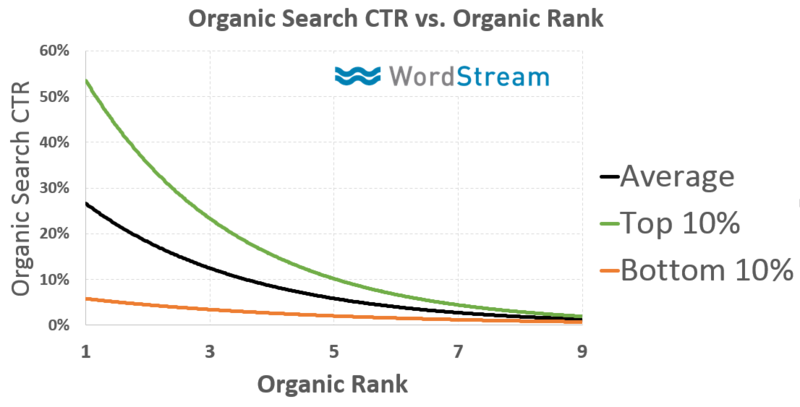 Why should you care about your organic CTR? Besides the obvious benefit of increased site traffic, Google often rewards higher CTRs with higher rankings. CTRs also pay off with increased brand awareness – the higher your CTR, the higher your ranking, and the better visibility for your brand. 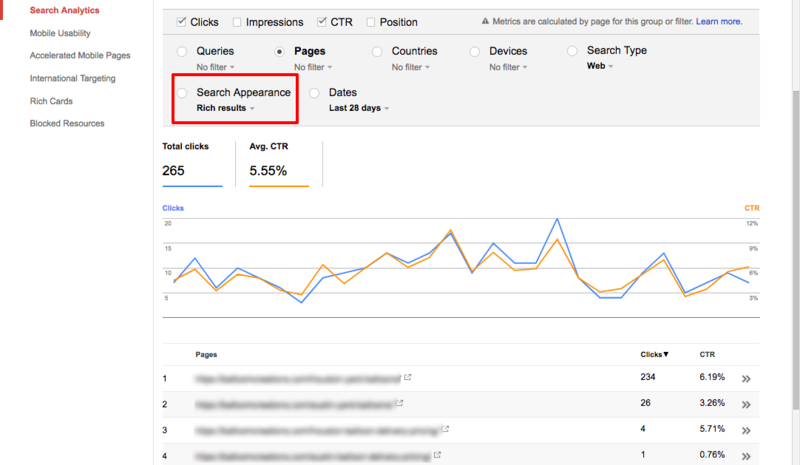 In this article, I’ll walk you through seven ways you can use Google Search Console (GSC) to improve your organic CTR. Before we dive into GSC, let’s review what you’ll be looking to improve on your site pages. Your CTR in large part depends on the appearance of your search result. Think of it as a free classified ad for your site in the SERPs. Everything in it should be constructed to grab a searcher’s attention and compel them to click, from the URL to the meta description. URLs: URLs that don’t match the title tag or meta description raise suspicion in the eyes of your searchers, while URLs that are gibberish or not descriptive at all look unprofessional. In some cases, it may be worth 301ing to an optimized version (but don’t do this at the cost of weighing down your load time with hundreds of redirects). Title tags: Are these too long? Too short? Do they use confusing marketing jargon instead of normal language, or are they just plain boring? 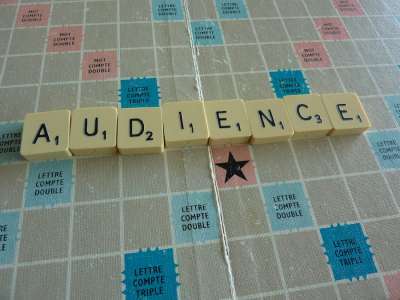 Use emotion, power words, and numbers to get people to click. When in doubt, fall back to the quintessential content marketing headline formula: [Number] + [Emotional Adjective] + [Content] + [That Does What Exactly?] Refer to the headline of this article for an example of this in action. Meta descriptions: Like your title tag and URL, these should include keywords to reassure the searcher that your site has the answer they’re looking for. Make these exciting to spark interest and create intrigue, but keep them at or below 160 characters to avoid unappealing ellipses in your search result. org markup: Some studies claim adding rich snippets can increase CTR by 30%. It makes sense – they expand the size of your search result and give it a little color. Evaluate which of your pages are good candidates for popular schema like pricing, reviews, and recipes. 1. Discover your average CTR. Before you start improving your CTR, you need to establish a baseline. Go to Search Analytics in GSC. The default view simply shows queries you are ranking for (i.e., your keywords) and the amount of clicks they receive. Check the CTR box and voila – you’ll have the average CTR rate for your top keywords. Remember that your CTR goals will be different depending on a variety of factors. The CTR for branded queries should be extremely high (that’s the 70% in the screenshot above), but your CTR for more generic keywords will be significantly lower, especially if you’re in a crowded landscape. 2. Prioritize your endangered pages. Now that you have your baseline, your first priority should be saving the pages most in danger of slipping from the SERPs. These are the pages that Google has blessed with a decent or great position in the SERPs, even though currently have a low CTR. You need to turn these around immediately in order to keep or, ideally, improve your rating. 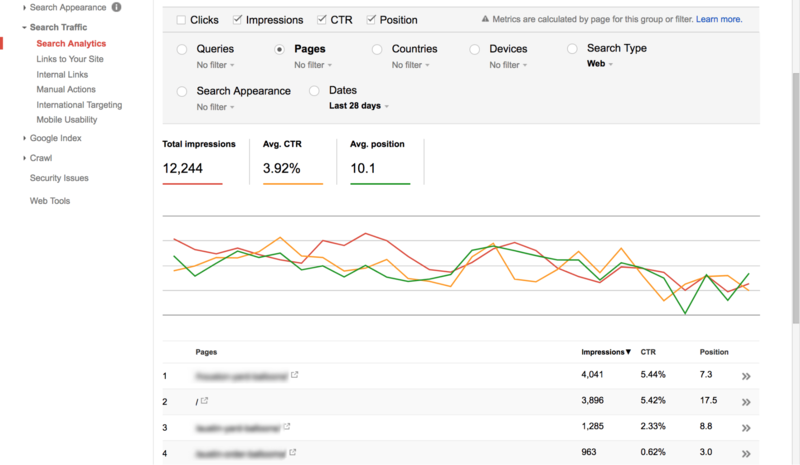 To find these, change from Queries to Pages, and check off Impressions, CTR, and Position. Scroll all the way down to download the report. Then, in Excel or Google Sheets, filter out any with a small number of impressions, before plotting your CTR against Position. The ones below average are the ones you need to focus on improving. 3. Analyze your top-performing pages. Need help figuring out why your low-performing pages are struggling to rank? Compare them against your winning pages, the ones thriving with top positions and CTRs. To make a fair analysis (and make the wins easier to replicate), make sure you compare comparable sets of pages – blogs versus blogs, product pages versus product pages, and so on. While a missing product schema could be the difference between one product page ranking on page 2 versus page 1, adding schema likely isn’t going to fix a blog post that’s languishing back on page 8. Larry Kim of Wordstream has a great article on this process. He claims turning the losers into winners can quintuple your CTR. 4. Compare your mobile vs. desktop experience. We’re in a mobile-first world now, so don’t forget to check your mobile CTR. 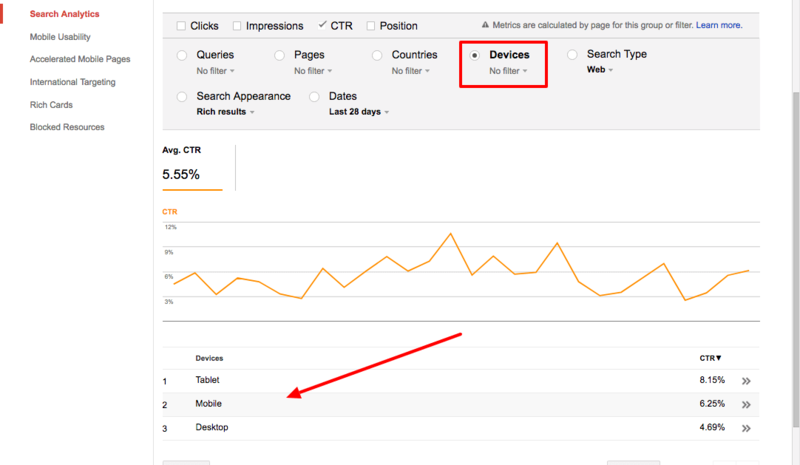 If you click on Devices, Google Search Console will give you an overview of your CTR by device (tablet, mobile, desktop) but you can click on the drop-down to compare CTRs across device, and specify separate queries to determine what’s causing a certain page to perform poorly on mobile versus another. Also, review how these pages appear in the SERPs. For instance, are the title tag and meta description too long to show in portrait mode? 5. Confirm all your schema are working. You regularly QA your pages with each code push to confirm the schema are working correctly, right? Just in case you don’t, Google Search Console provides a quick way to confirm at a glance that everything is working. 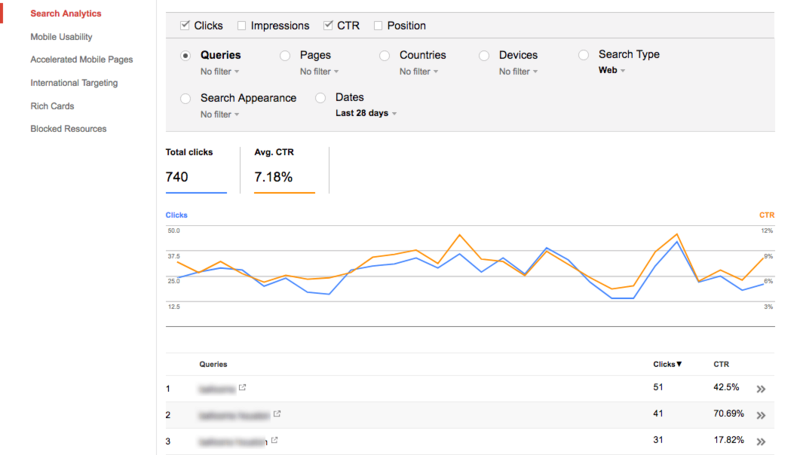 In Search Analytics, click on the drop-down beneath Search Appearance to select Rich results. All of your pages with schema should show here. Keep a list of these and check in with every new site change to ensure nothing has changed. 6. Compare against your competition. If you’re at a total loss for why your site is underperforming, take a look at everyone ranking above you and see what they’re doing differently. The below screenshots are from page 1 and page 4 of the SERPS for the query “how to write good title tags.” Can you see how the page 1 results are keyword-specific, with the URLs, title tags, and meta descriptions all geared towards convincing the user that their page will help them write better title tags? Finally, any SEO worth their salt knows to measure their results. At least every month, go back and check your work. Compare the 30 days before and after to your changes, to see how they affected your CTR. Hopefully, things moved upwards. If that’s the case, replicate the changes across a wider swath of pages. If the reverse happened, there might be another culprit for your low CTR. 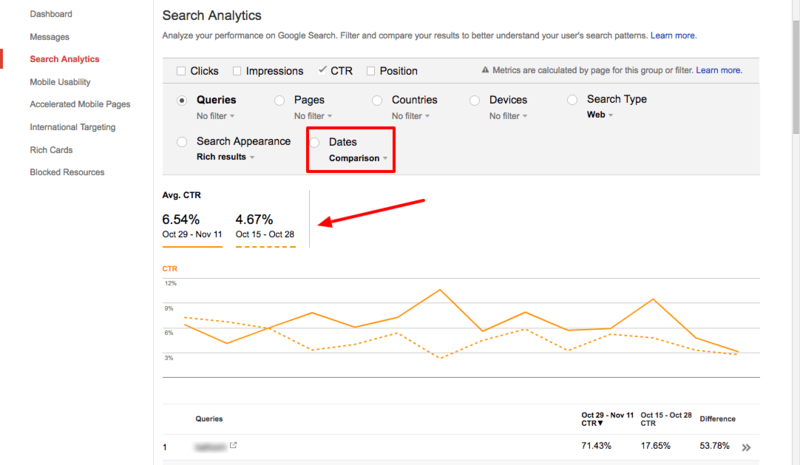 Using Google Search Console to review and optimize your organic CTR should be a regular part of your routine as an SEO. 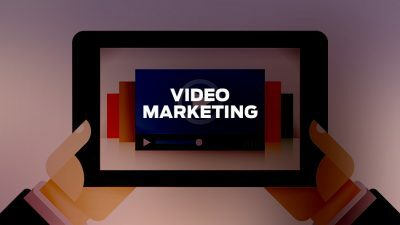 Follow these steps above to bring in more traffic and enjoy success in the SERPs. About the Author: John Reinesch is a digital marketing consultant based out of Long Island, NY. Connect with him on LinkedIn or Twitter if you have any questions.